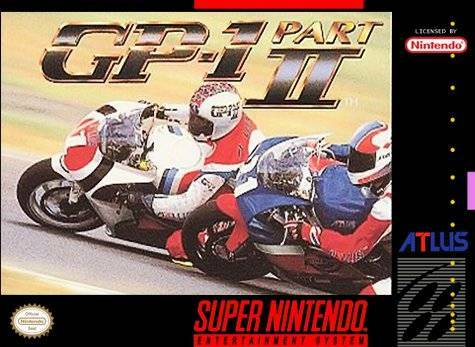 GP-1 Part II for Super Nintendo allows you to again track for some of the most intense and dangerous motorcycle racing in the world. Your number one goal remains to become the World Champion of the Grand Prix circuit and this time around, the action is more realistic and gnarly than ever. Race on 17 tracks in 14 countries and earn points for finishing each race; when you've accumulated enough points, head to the showroom and upgrade to bigger, better, and faster bikes in order to give yourself the upper hand.